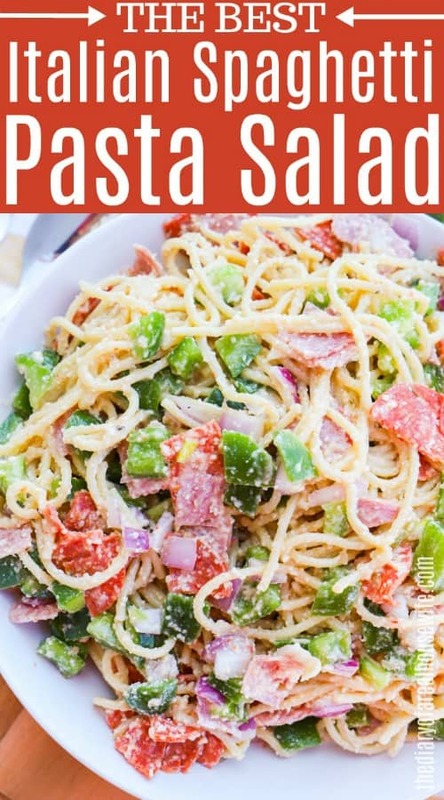 Tossed in Italian dressing then coated with parmesan cheese this Italian Spaghetti Pasta Salad is the perfect side dish. For me, Summer is for grill outs, pool parties, and time with family. We love spending time outside and eating outside! 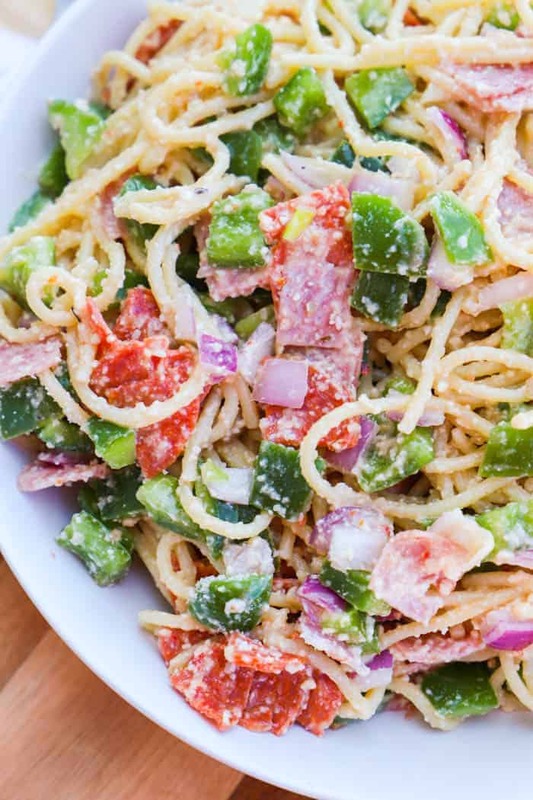 This Italian Spaghetti Pasta Salad makes the perfect side dish for any meal. If you have an event planned for this summer then make sure to pin this one, everyone is going to love it! Step one: Start by cooking your spaghetti according to package directions. You want your pasta to be chilled or at least not hot when adding the rest on the ingredients. I find the best way to do this is to drain the pasta and then rinse with it cold water. Once fully drained place in a large mixing bowl. Step two: Add all diced peppers, pepperoni, salami, and red onion to cooked spaghetti. Step three: Add Italian dressing and toss to coat. Add grated parmesan and toss again to coat. Serve and enjoy! 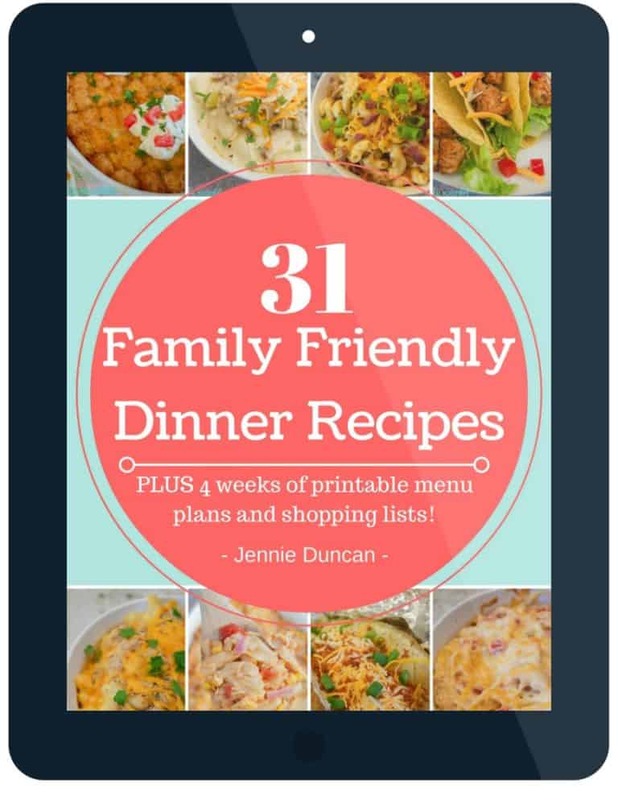 Simple and easy to make, the best kind of recipes. 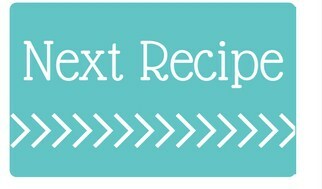 Want more Awesome Pasta Salad Recipes?? Classic Macaroni Salad: This Classic Macaroni Salad is a must at any BBQ or Picnic! It made with pasta, diced raw veggies, a homemade mayo dressing, and cubed cheese. The perfect side and a must try recipe. 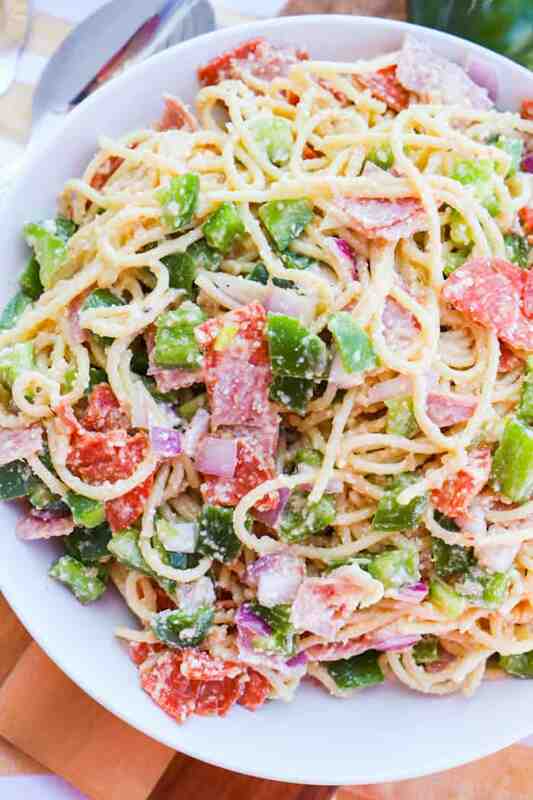 Bacon Ranch Pasta Salad: The only dish to bring to this year’s bbq or pool party! This Bacon Ranch Pasta Salad is so easy to make and a real crowd pleaser! Start by cooking your spaghetti according to package directions. Drain pasta and rinse with cold water. Once fully drained place in a large mixing bowl. Add all diced peppers, pepperoni, salami, and red onion to cooked spaghetti. Add Italian dressing and toss to coat. Add grated parmesan and toss again to coat. Serve and enjoy. 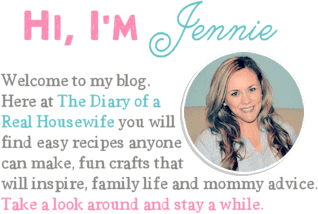 Jennie, thank you ever so for you post.Much thanks again.